Anthony Mikec, or as he would prefer “Tony”, was born the youngest of seven children to Mary and Anton Mikec, immigrants from Yugoslavia. 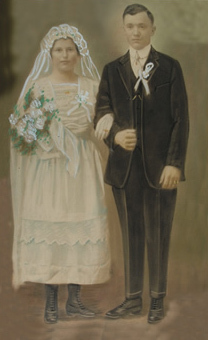 They journeyed separately to the United States both in search of a better life…and later met and were married. Like so many other immigrants, Tony’s father worked in the coal mines in support of Pittsburgh’s bustling steel industry. He and his wife settled in a small mining enclave of Hackett in Peters Township, Pennsylvania where they raised their family. 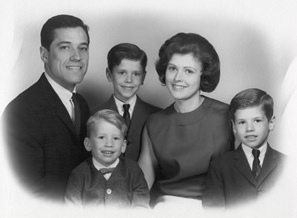 Growing up, Tony had a lot of influence from his six older siblings who served as role models and teachers. The advantages of having older brothers and a sister, as well as his natural strengths, helped him to excel in school and in life. 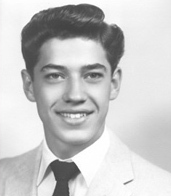 Tony did well scholastically; in high school his leadership abilities became apparent when he became president of the student counsel, president of the senior class and captain of the basketball team. 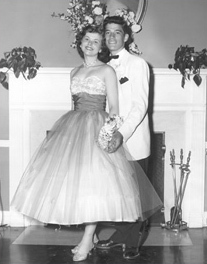 It was in high school that he met his wife and sweetheart of 40+ years, Priscilla Rankin. Tony was not one to let life take its course; he was always one who made life go in his direction. In the sixties the suburban housing market was booming and Tony took a job as a residential electrician. Later, the company he worked for acquired Baldwin Electric and began to branch out into commercial electrical work. As an electrician, Tony took advantage of every opportunity made available to him. Through the International Brotherhood of Electrical Workers Union, Tony advanced through the formal educational opportunities offered to become a foreman. For his company, Tony was more than just another electrician; he became superintendent on many of the company’s largest jobs. His work at Baldwin had him managing projects in locations as far away as Pittsfield, Massachusetts and Ada, Oklahoma. 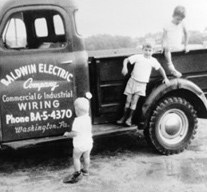 His commitment and successes led to him ultimately to becoming the President of Baldwin Electric. His drive was strong, and Tony’s desire to be on his own eventually led to him leaving the company. It was not the best time to start a new business. 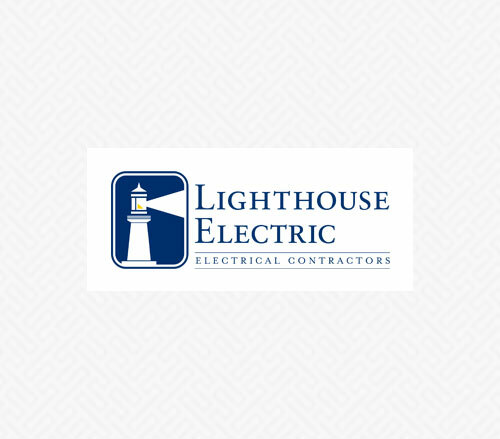 But in spite of the advice of others, on March 12, 1984 Tony and his three sons, Mark, Neil and Todd formed Lighthouse Electric Company, Inc. Lighthouse’s first job came from one of Tony’s neighbors whose church needed new parking lot lighting. Equipped with only hand tools and a pickup truck, Neil, Tony’s middle son, began to dig the trenches and lay the pipe. When it came time to set the poles there was no boom truck to lift them into place. Tony recalled seeing a sign crew installing a new sign at a gas station just down the street from the church, so he paid them a visit and made an offer they couldn’t refuse. With their help the job came to a swift and profitable conclusion. That was the humble beginning of Tony’s award-winning company. 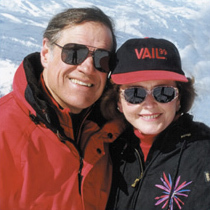 The new company attracted several of the young people that Tony had influenced over the years. Many of those people have remained with him and are now the company’s key managers. While the number of employees varies, depending on the size and number of projects being worked at any given time, on average Lighthouse employs around three hundred people. With such a large team of people, maintaining loyalty and commitment to the task is not easy when the majority of employees are spread geographically over many job sites. However, Tony’s desire to run the company as if all the employees are family helps bridge this separation and has been a large part of the company’s success over the years. 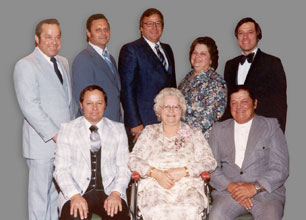 From three employees (Tony’s sons) to over three hundred employees, the ideals and intimacy of this family-owned company have been maintained for 30 years. Today, Tony holds the title of Chairman, while his sons Mark, Neil and Todd and grandson Anton run the day-to-day operations. In addition, several more third generation Mikecs have joined the company in various roles throughout the organization. While Lighthouse Electric is now and will probably always remain a prime focus for Tony, he does enjoy getting away. On occasion you may find him on the ski slopes, but more frequently you will find him on his farm. 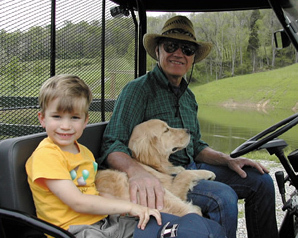 Silver Fox Farm, named in memory of his father-in-law, is located in the far southwestern corner of Pennsylvania. It serves as a retreat and a place where Tony can gather with his family.